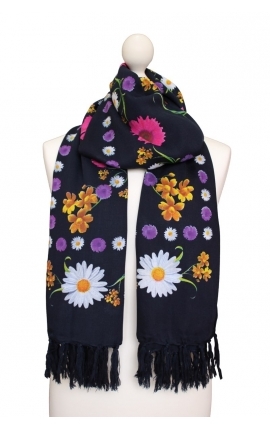 The beauty of the passion fruit flower reigns on this blue scarf. 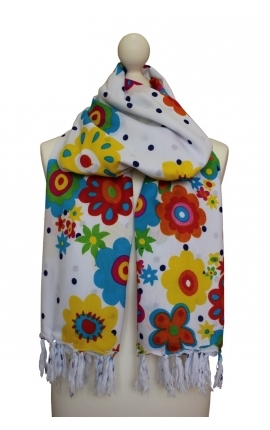 Premium quality decorated scarf characterised by its splendid colours and elegance. 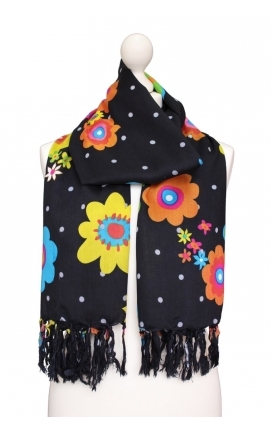 Ideal as foulard, headscarf or kerchief, shawl, blouse, skirt, beach wrap or dress. Es muy bonito y de buena calidad. Compra perfecta. Me encantó el pañuelo, grande, suave y los colores increíbles.